This kale and quinoa salad is quick and easy. 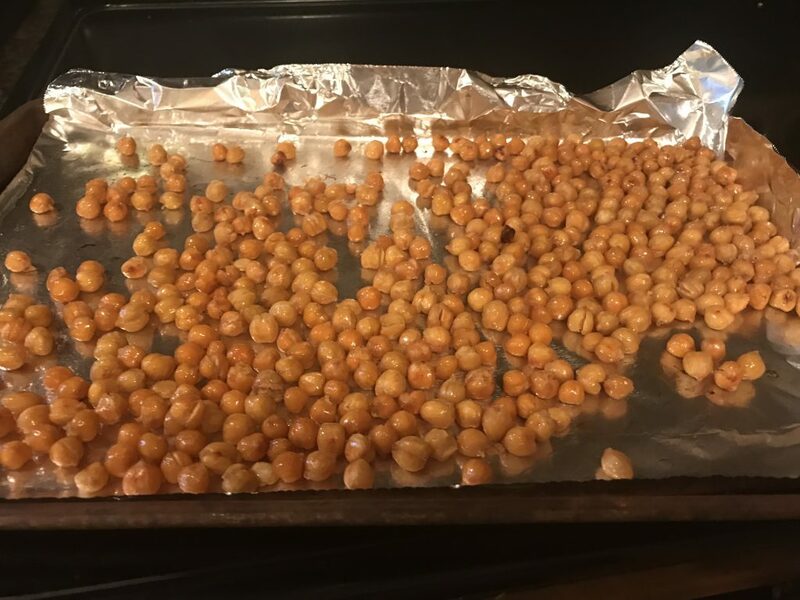 Roasted chickpeas and quinoa add plant-based fiber and protein. It can also be easily modified according to the ingredients you have on hand at home. It’s equally good with berries or apples for a little sweetness instead of the sun-dried tomatoes. Also, if you prefer walnuts or pecans to chickpeas, those are good too. 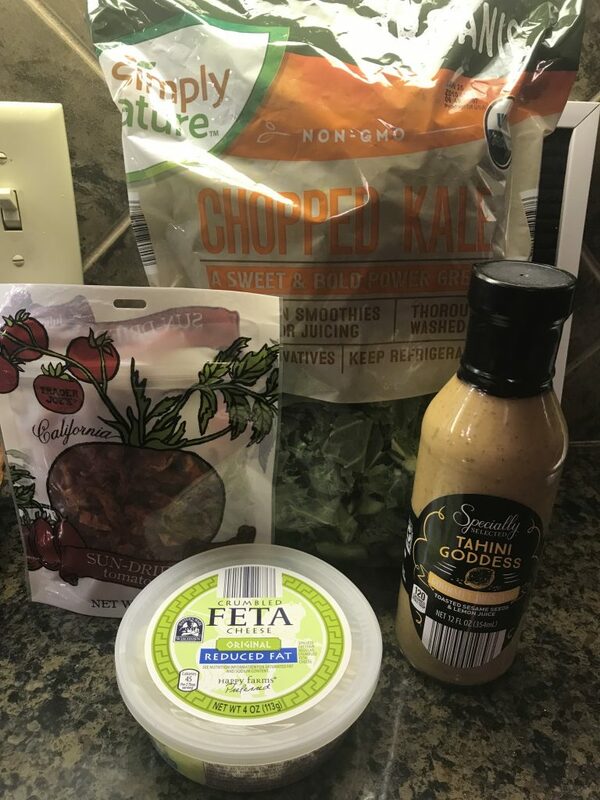 I got a Tahini Goddess dressing at ALDI that went really well with this flavor profile, but any Greek dressing will do. To make it even more Greek, throw in some Kalamata olives and cucumbers! For a basic homemade dressing, try mixing one part lemon juice to 3-4 parts extra virgin olive oil and minced garlic. Delicious and easy! 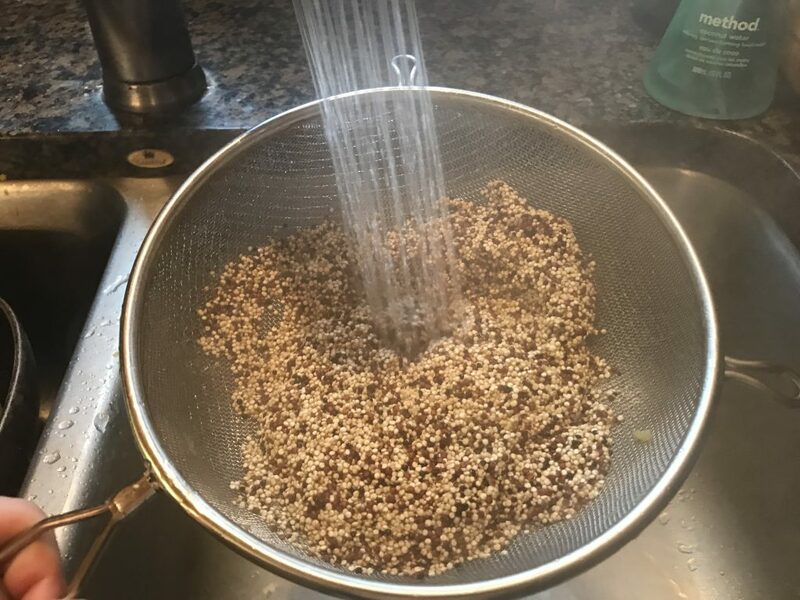 Cook your quinoa according to package directions, rinsing first. I use a mesh colander to rinse mine. 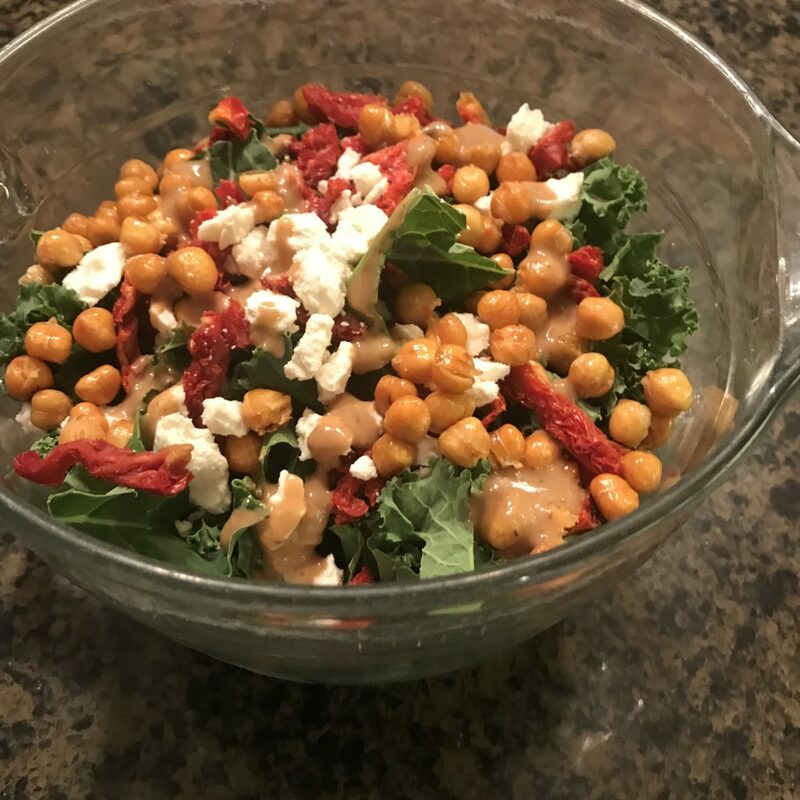 You don’t have to roast your chickpeas for this salad, it tastes fine with regular chickpeas – but the roasting adds a little extra crunch. 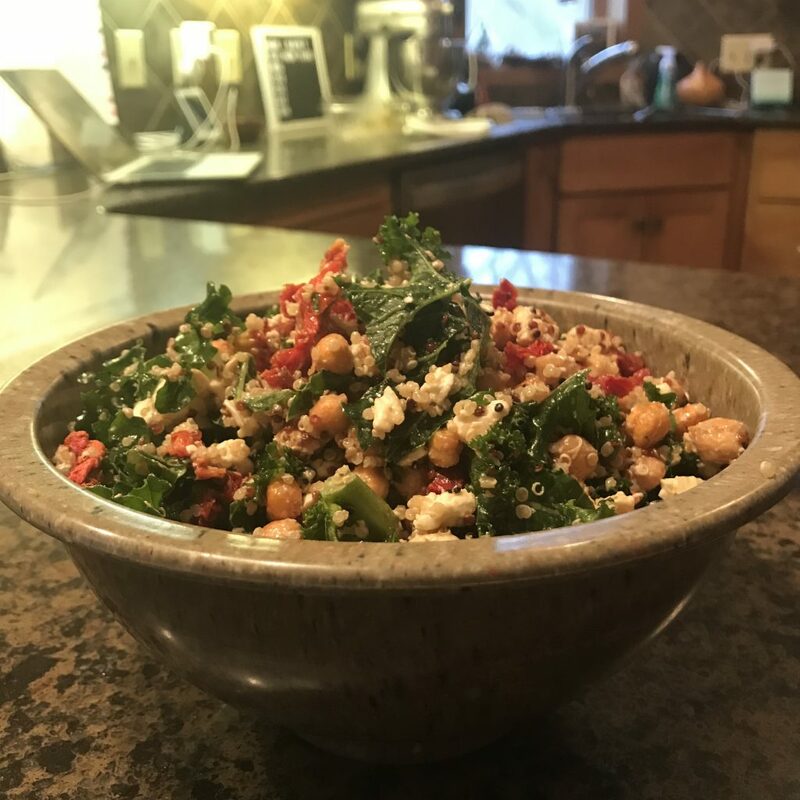 Combine quinoa with the kale, sun dried tomatoes, feta, and dressing. I specifically didn’t include measurements here, because it’s totally up to you. Experiment with the ratios you like best. Add a little dressing, then toss all the ingredients together and chill. Add a little more dressing before serving if necessary.